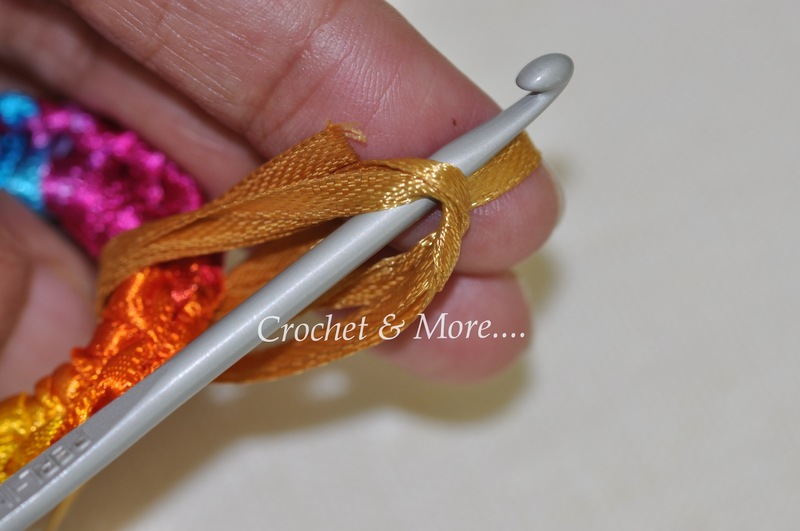 I needed a tassel to liven up my Midnight Melody….You know the satin ribbon bag I had hooked……..but flowers were out of the question…since I already had them on the bag……….How about Butterflies…….A Bumble Bee, Lady Bird, Hedge Hog…….Nah!!!! 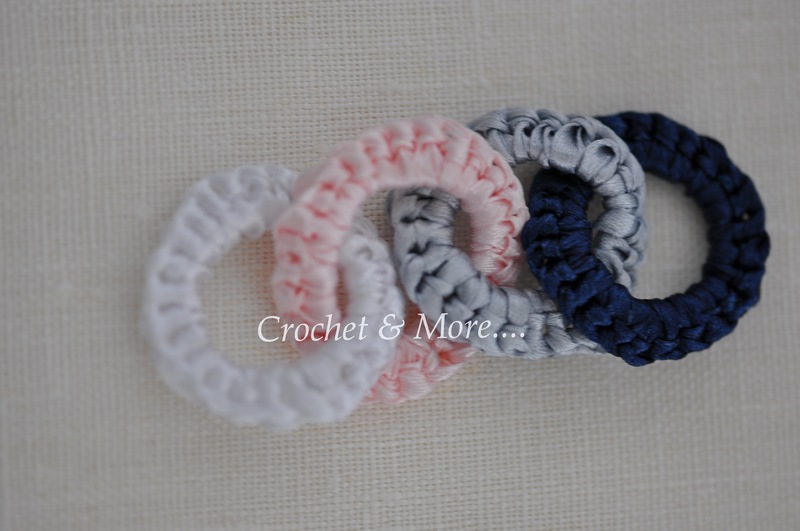 Couldn’t have a mid-summer garden in something I had just called Midnight Melody…..now, could I? 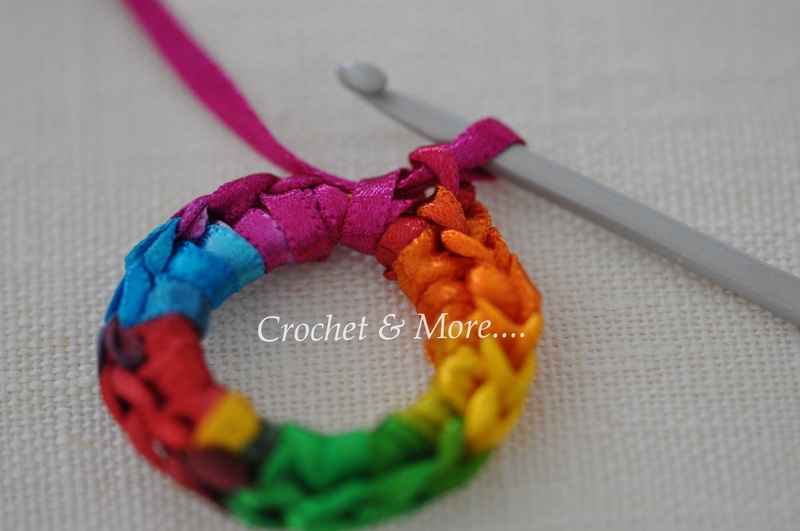 Crochet Link Chains can be made with almost any kind of yarn/thread/plarn etc. 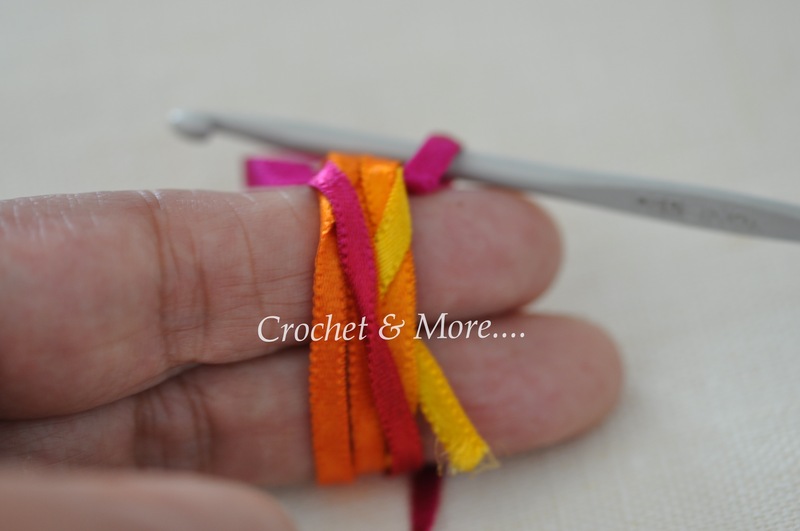 Wind the ribbon/yarn around your fore and middle fingers( you can also use something Tubular) 3 or 4 times. 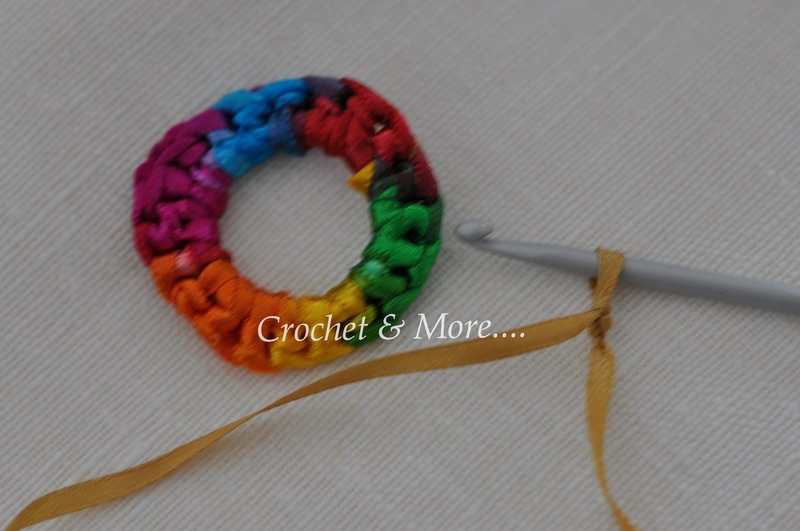 Yarn Over and pull another chain(ch)through the first chain. 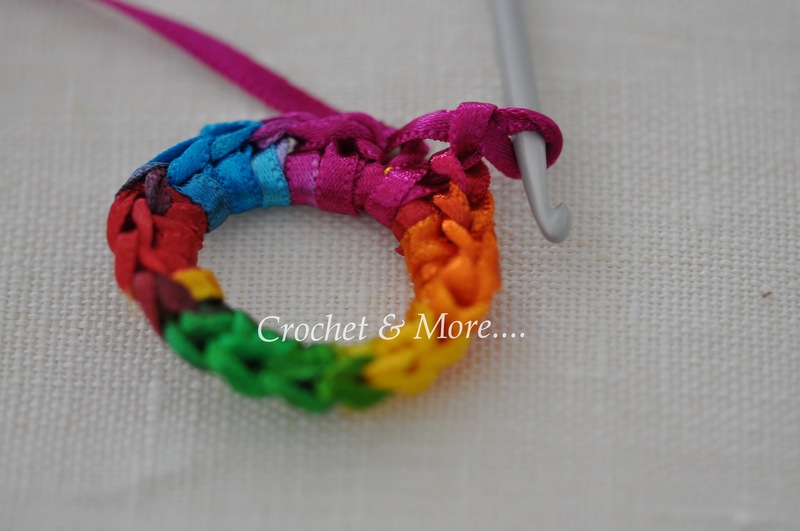 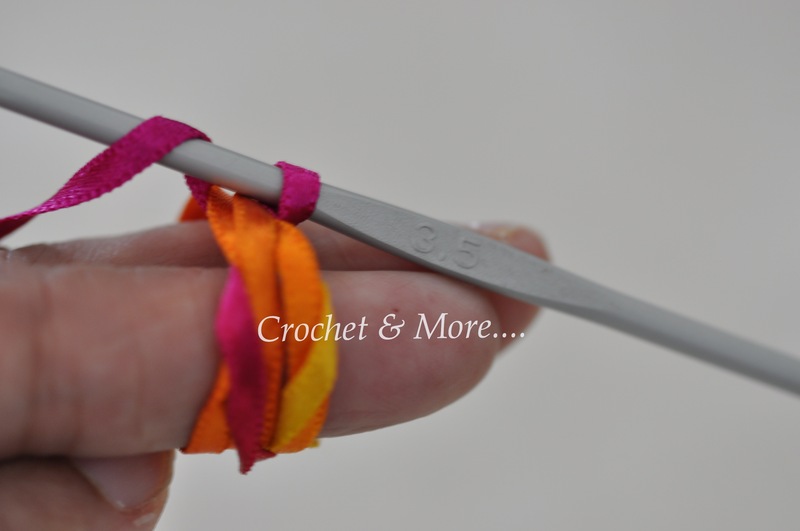 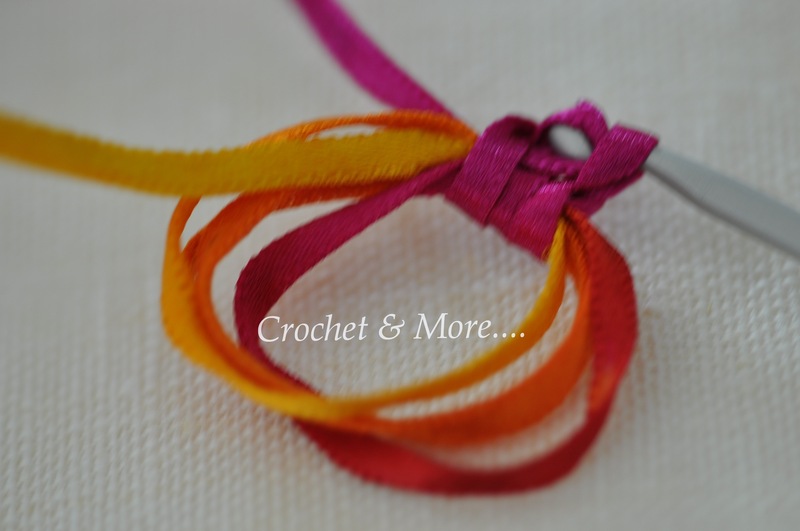 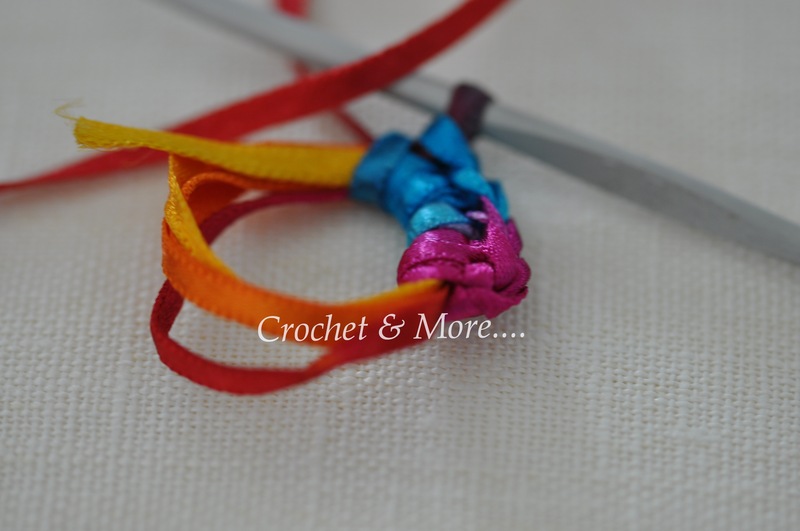 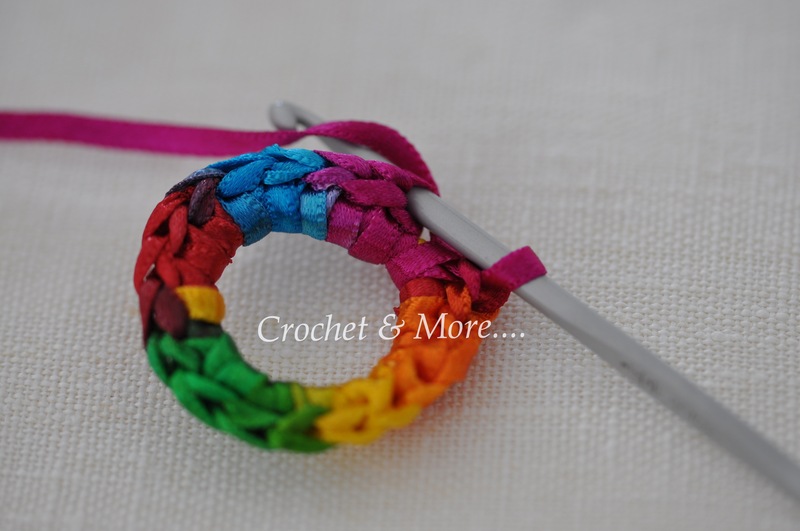 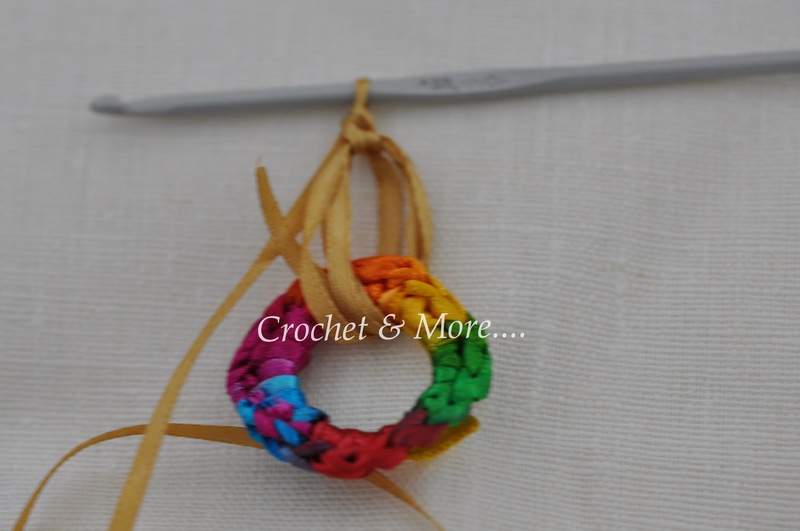 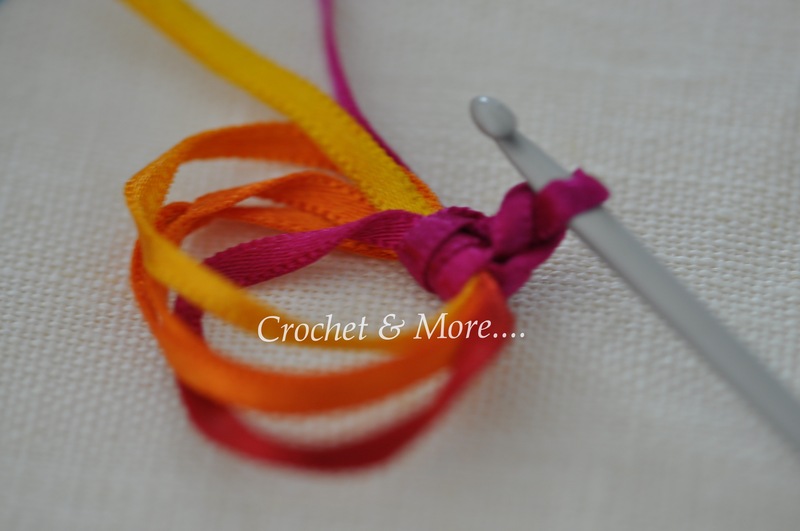 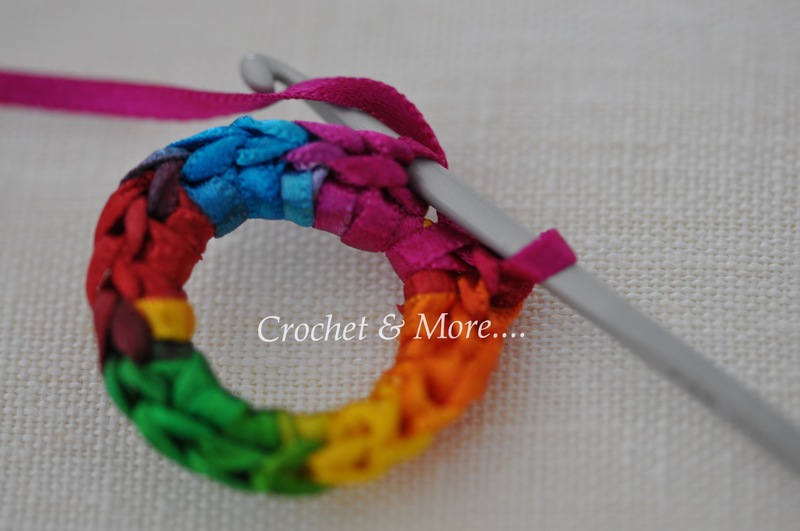 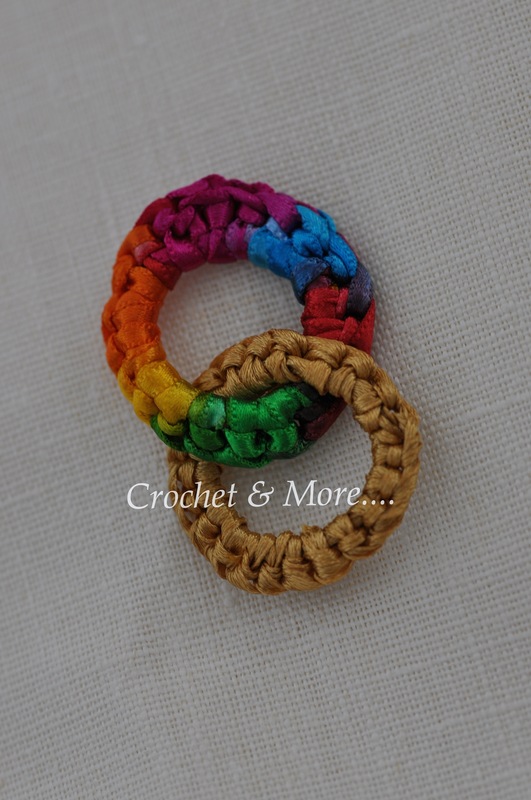 Then start making single crochets ….Making Sure that the stitches go around the wound up ribbon. 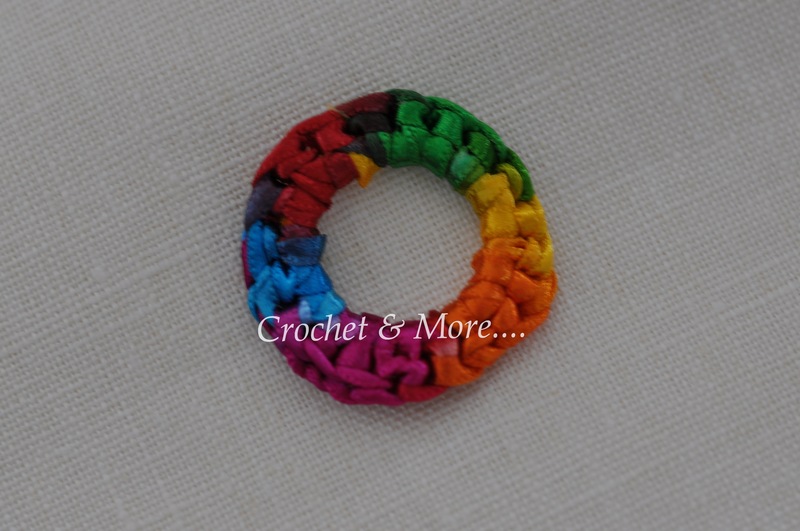 Now you have one ring complete. 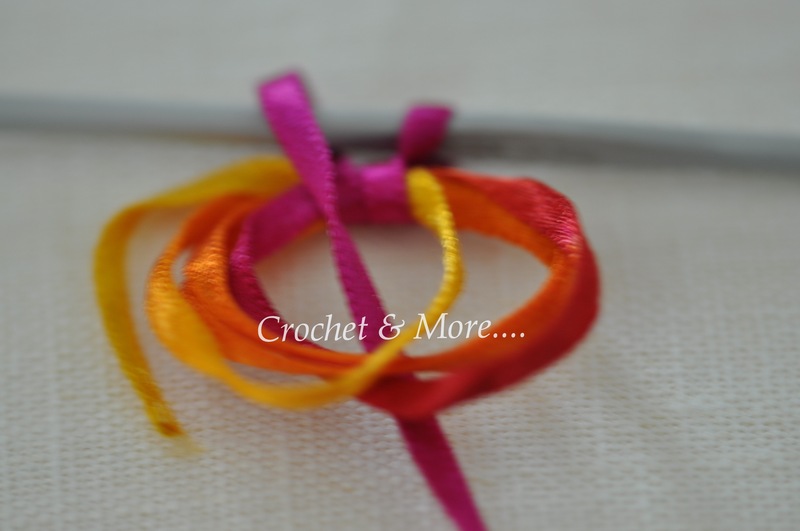 Cut around 1.5 metres of the ribbon/yarn to start hooking the second ring. 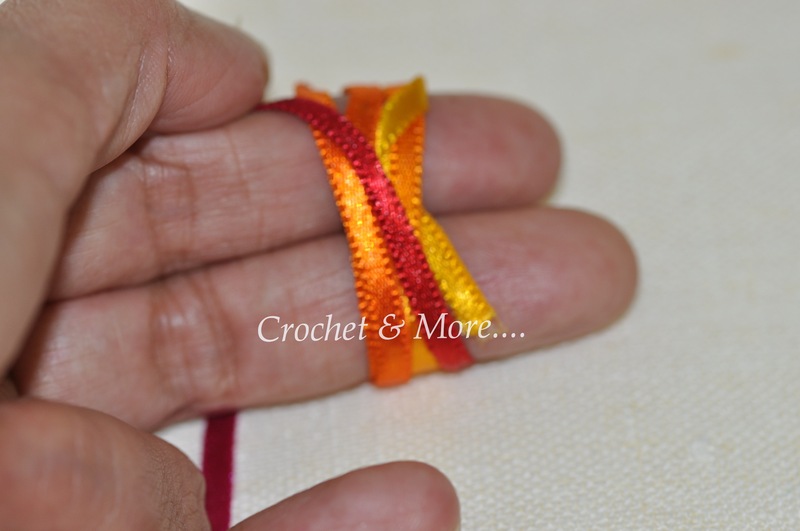 It is impt to cut the ribbon/yarn because the second ring has to be hooked through the first ring so as to make it interlinked…. 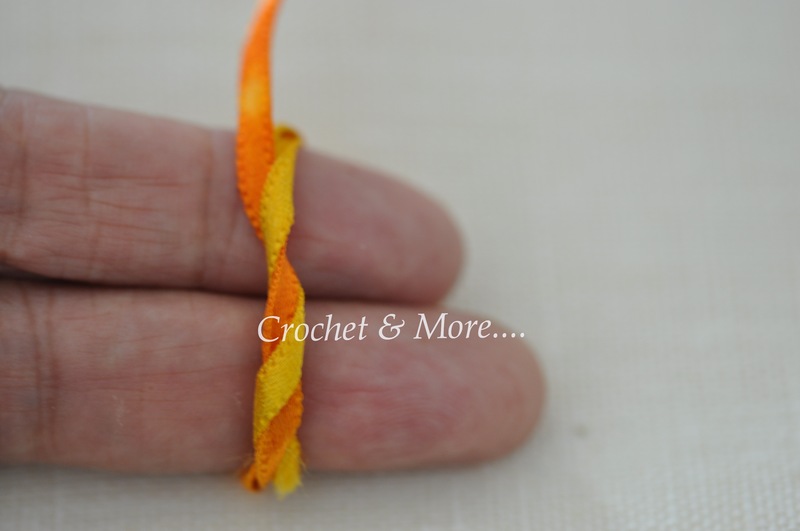 So wind the second ribbon not only around your fore and middle fingers but also through the first ring. 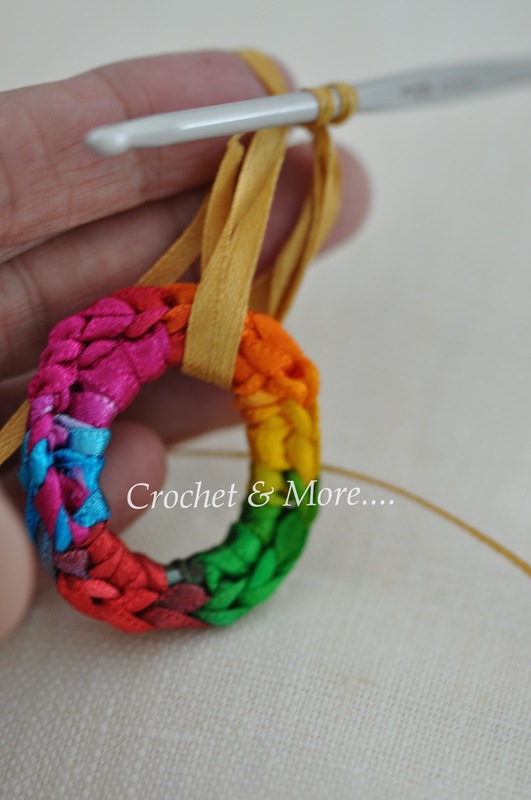 If you feel more comfortable you can tie a knot or pin it together. 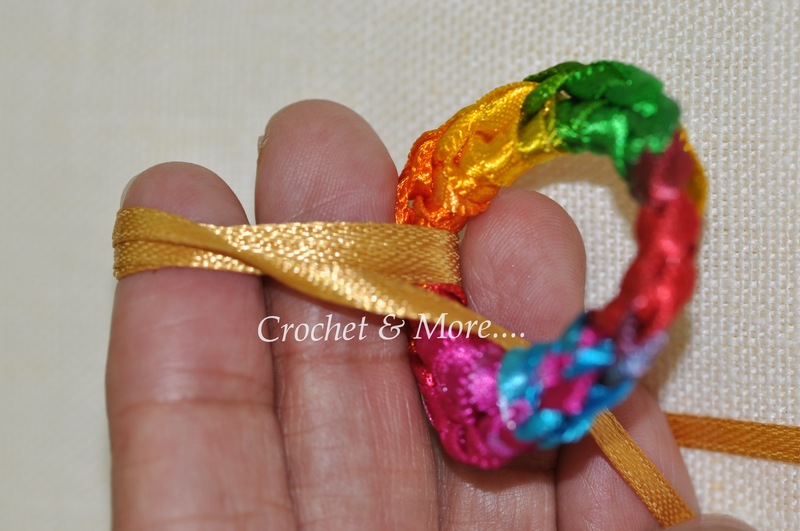 Just as before wind the ribbon/yarn around ur fingers 3-4 times. 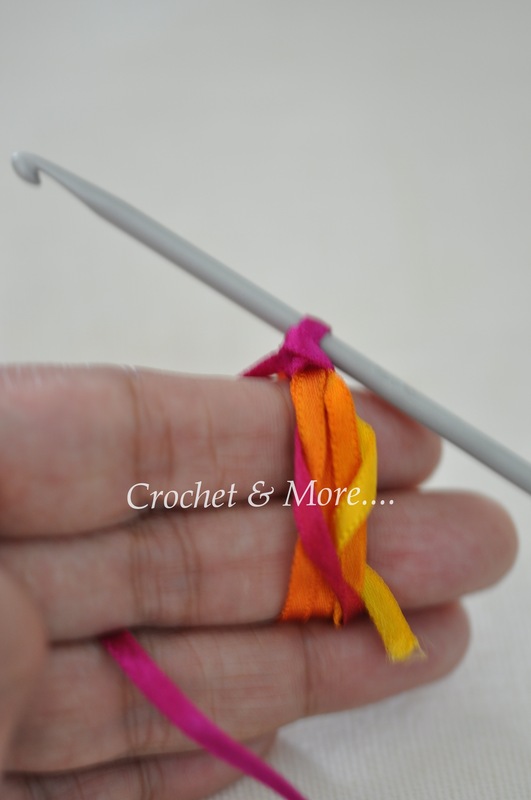 Then start hooking scs covering the wound ribbon or yarn.